Zip through your errands and get to the good stuff. Ziiip gets you from point A to point B (and all the places in between) quicker so you can spend more time doing what you love. 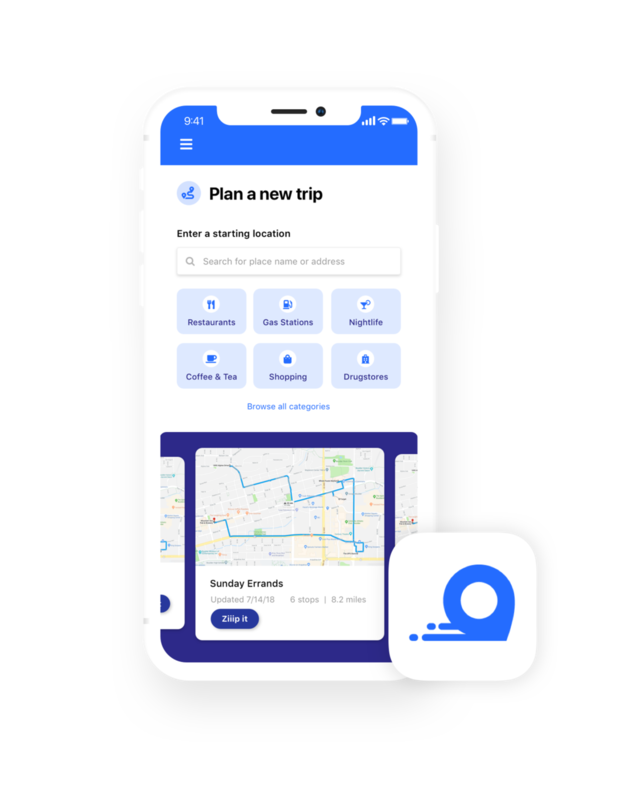 With multi-stop route optimization and category recommendations, you don’t have to worry about zig-zagging across town. Optimize your route to save time and gas money. Ziiip takes your multi-stop route and optimizes it by reorganizing the order to build the most efficient route possible. We make the optimizations, but you’re still in control of your day. Get recommendations that fit your lifestyle and your schedule. Search for destinations by category or keyword to discover new and recommended places along your route. 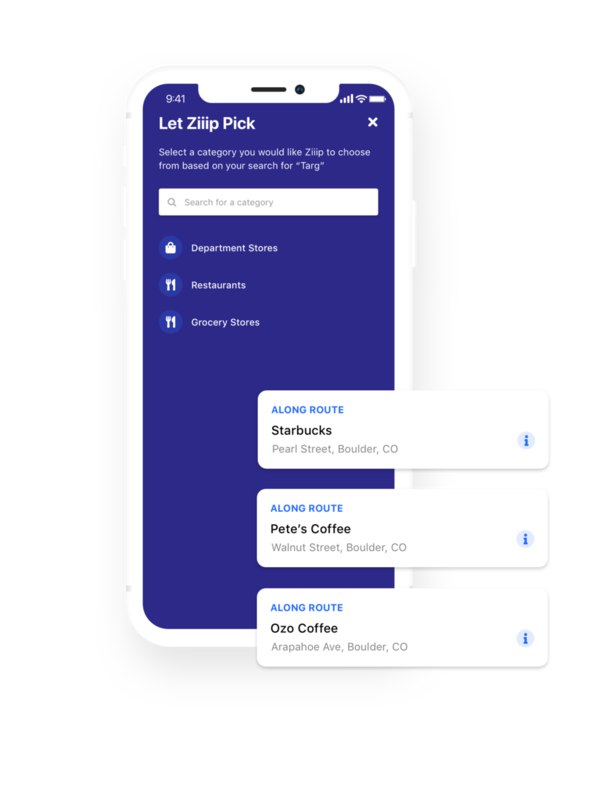 Maximize your time by selecting a general category, such as coffee shops, and letting Ziiip pick the best location based on distance and reviews.